Pads with adhesive on one side which are designed to be fixed to the inside of plastic or metal trunking. 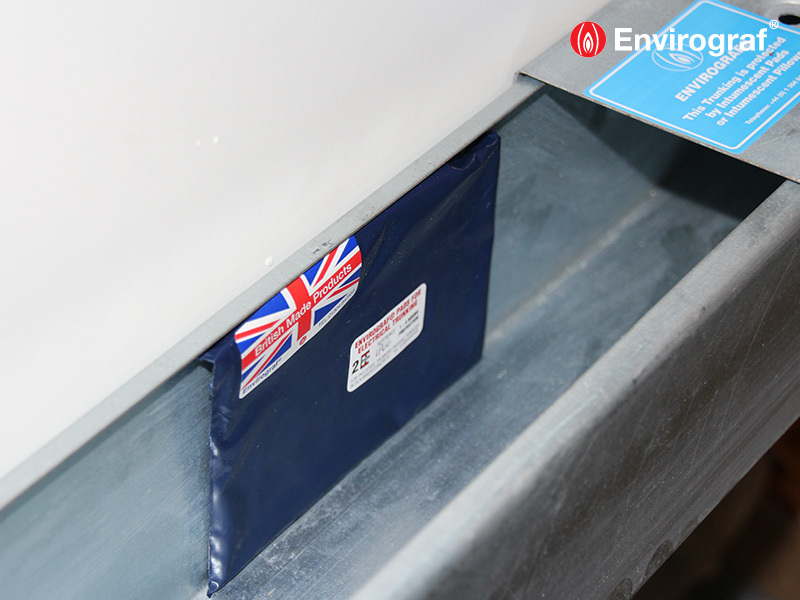 The intumescent in the pads will expand in a fire and seal the inside of the trunking to prevent fire and smoke spreading through it. Specifically designed to compress cables and fill the entire width of the trunking. For trunking sizes not exceeding 100mm x 100mm, only one intumescent pad is required per penetration. For trunking sizes equal to or exceeding 150mm x 150mm, two intumescent pads are required per penetration. the inside surface at one side of the trunking.